Is that humor or sarcasm? This is my favorite place to stay informed on what the weasels in Washington DC are actually doing. A few questions......if you don't mind. Welcome to Chris Monson's Blog. Why I wrote this book! After watching last night, I have come to a simple conclusion. WE ARE SCREWED! There are no two parties, just one big blob trying to eat us, no matter which way we turn. Apparently, no one in this country has really read the history of Germany in the 30's. We are reliving it. These politicians are nothing but common criminals. Enough is enough. I am spitting myself out of the system. Whatever happens in the political realm of this fantasy land will not affect how I continue to raise my family as Independent Thinkers and live by the Constitution in Freedom and Liberty. 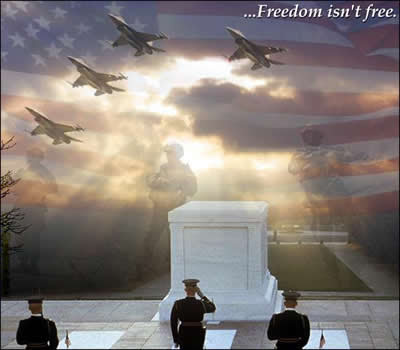 Is there anyone running for President that actually wants to unselfishly serve our Counrty and protect our Constitution or do they just want the title? This video gets us used to 20% of our population being killed to cowl the other 80%. Over 60 million people died in China. 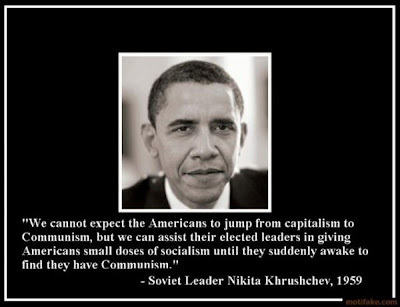 How many do the Communist's want to kill in America? As I check the voting record on the Puerto Rico bill, http://www.govtrack.us/congress/vote.xpd?vote=h2010-242 I ask myself which Congressmen are voting solely for the up-coming elections. I see a pattern of political fence sitting, designed to show plausible deniability. Any Congressional member "Not Voting" has shown their true colors. They are pure politicians without a shred of character. We are in the midst of finding out that "Character DOES Matter" with the people we have been electing over and over, some have over 40 years in office. It is not about how much funding or how interesting the visuals are in their commercials, it is about personal principles, values, and morals. I haven't seen a lily-white, cleanly principled "politician", yet. I don't think such a person exists. We need to look at people standing up for the first time in their respective careers and are willing to represent their communities out of disgust over the systems failures. Corruption doesn't trickle down from the top, it starts at the bottom and works it's way up the ladder. A School Board member that has shown a preference for special interests and unions isn't going to change if you elect them to City Council. A City Council member or County Commissioner with questionable ties to lobbyists isn't going to stop enjoying the perks if they get into Congress. Politics should not be a career, it should be an Honor and a Duty and a BURDEN to the soul. Power attracts the corruptible. Suspect all who seek it. We should grant power over our affairs only to those who are reluctant to hold it and then only under conditions that increase the reluctance. - Frank Herbert 1985 Wise words to consider in our Country's present situation of corruption and moral degradation. Why are we reading about these stranded travelers going broke? Where is our decency and sense of charity? How much effort would it take for New Yorker's to give a stranded traveler a couch to sleep on and a meal? Why are our clergy and congregations not reaching out to shelter these people? How can we just leave people to live in an airport? 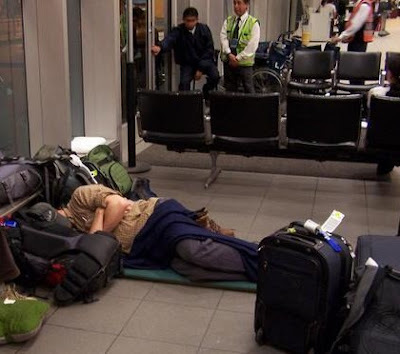 No one likes to have a long layover, let alone have to sleep on the floor with your luggage for days. I am saddened to see how far we have moved from the foundations of our country. We have always been known for our charitable nature. We have always been the first to send help in a crisis no matter where in the world it is needed, yet here we sit waiting for the government to set up some kind of "tent city" for these people who came to our land to vacation, visit family, do business, etc. I am ashamed by the inaction of my fellow countrymen. 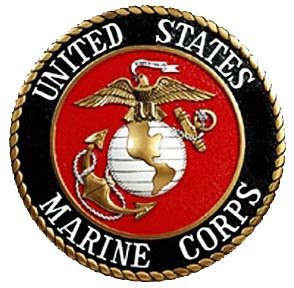 On November 10, 1775, a Corps of Marines was created by a resolution of Continental Congress. 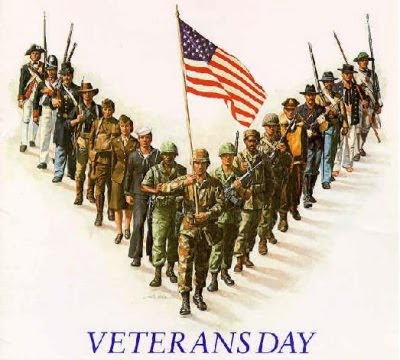 Since that date many thousand men have borne the name "Marine". In memory of them it is fitting that we who are Marines should commemorate the birthday of our corps by calling to mind the glories of its long and illustrious history. The record of our corps is one which will bear comparison with that of the most famous military organizations in the world's history. During 90 of the 146 years of its existence the Marine Corps has been in action against the Nation's foes. From the Battle of Trenton to the Argonne, Marines have won foremost honors in war, and in the long eras of tranquility at home, generation after generation of Marines have grown gray in war in both hemispheres and in every corner of the seven seas, that our country and its citizens might enjoy peace and security. In every battle and skirmish since the birth of our corps, Marines have acquitted themselves with the greatest distinction, winning new honors on each occasion until the term "Marine" has come to signify all that is highest in military efficiency and soldierly virtue. This high name of distinction and soldierly repute we who are Marines today have received from those who preceded us in the corps. With it we have also received from them the eternal spirit which has animated our corps from generation to generation and has been the distinguishing mark of the Marines in every age. So long as that spirit continues to flourish Marines will be found equal to every emergency in the future as they have been in the past, and the men of our Nation will regard us as worthy successors to the long line of illustrious men who have served as "Soldiers of the Sea" since the founding of the Corps. As I reel from the White House's attempts at overwhelming the system,daily, I forgot to wish everyone a Happy Columbus Day! I searched high and low to find the most appropriate picture to show how excited our "citizens" are to be here celebrating the momentous day! I am extremely curious on the philosophy of your Democratic Party. Do you even have one? They must be so radically liberal you don't let them out of the state. 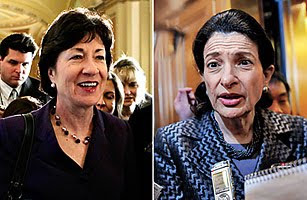 Really, who needs Democrats when you have Susan Collins and Olympia Snowe? I thought we had it bad here in Ohio, but I see the grass is actually greener on this side of the fence, for the time being.